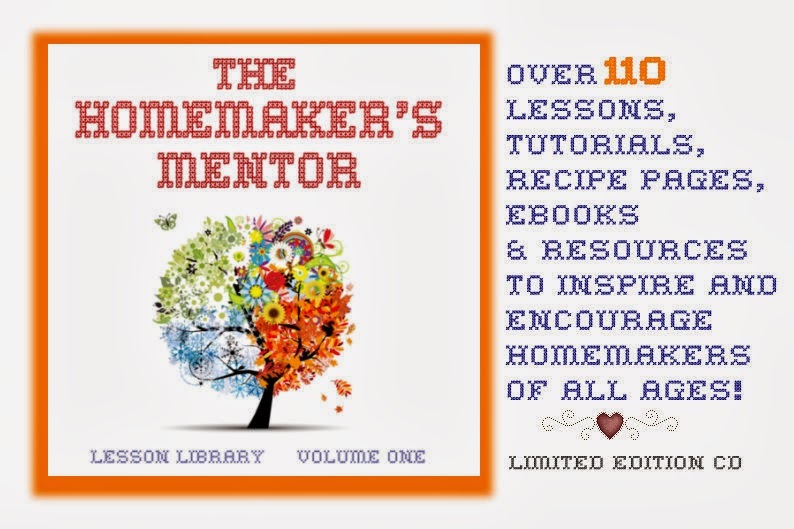 It's time for another review and giveaway, this time of an amazing set of resources on one little CD -- The Homemaker's Mentor. This is a whole bunch of files, all relating to some aspect of keeping a home. Beans, Beans & More Beans! Yeah. Fruit leather, refried beans, banana splits... definitely more fun than organizing my closet. And it leads to better photos too. 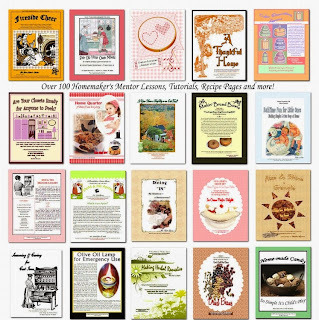 This isn't just a bunch of recipes, or how-to's for making aprons. This is a teaching resource, filled with practical advice. The Beans, Beans & More Beans! materials, for instance, give information about a few dozen types of beans, along with brief advice on how to prepare them. Then there is general advice about cooking dried beans, and a bunch of recipes. There is information about bean flours that I found fascinating. And that is just one of the publications in the Beans group... another has photos of bunches of different types of dried beans, with info. Others have craft projects, or recipes. This all prompted me to grab a pound of pinto beans and make my own refried beans. They were better than any others I've made before, but I didn't get photos. I did get photos of my pear overload though. We got six boxes of pears given to us and I was at a loss as to just what to do with them all. Many were in pretty sad shape. Making Jerky and Fruit Leather to the rescue, though! So now, instead of six boxes of pears, I've got a bunch of pear roll-ups, 9 quarts of pear sauce, a pear cake, and the kids ate a few dozen pears last week. I never would have tried the fruit leather bit, but because of the hints and tips in there, I'm thinking that any time I get some fruit that is a bit past its prime, I'll be mixing it in with apple- or pear-sauce, and making fruit leather. Especially when it is chilly out and I want to heat up my kitchen! The best part, of what I've used so far? Chocolate sauce for ice cream, that tastes very similar to what my grandma used to make. Doesn't this look amazing? 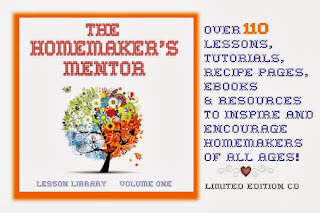 There is an amazing giveaway going that includes far more than just The Homemaker's Mentor. 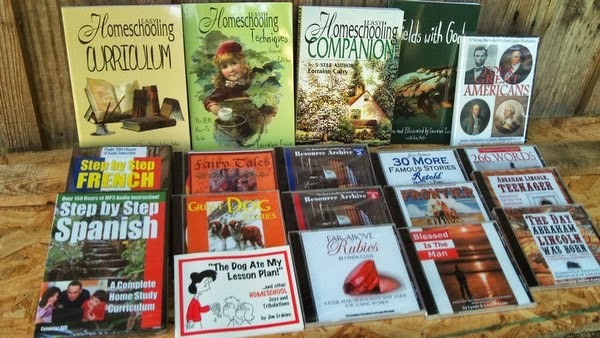 In fact, there is over $400 worth of resources, pictured here. You can check out a whole bunch of other fantastic reviews over at Bow of Bronze. I'm giving away two copies of the CD as well. If you are international, you will receive a download version instead of the CD. 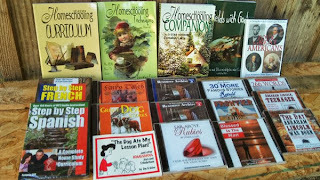 I am feeling constantly overwhelmed with Homemaking. Three children two dogs and a husband in the army that is away more then he is home. I could use some tips and encouragement! 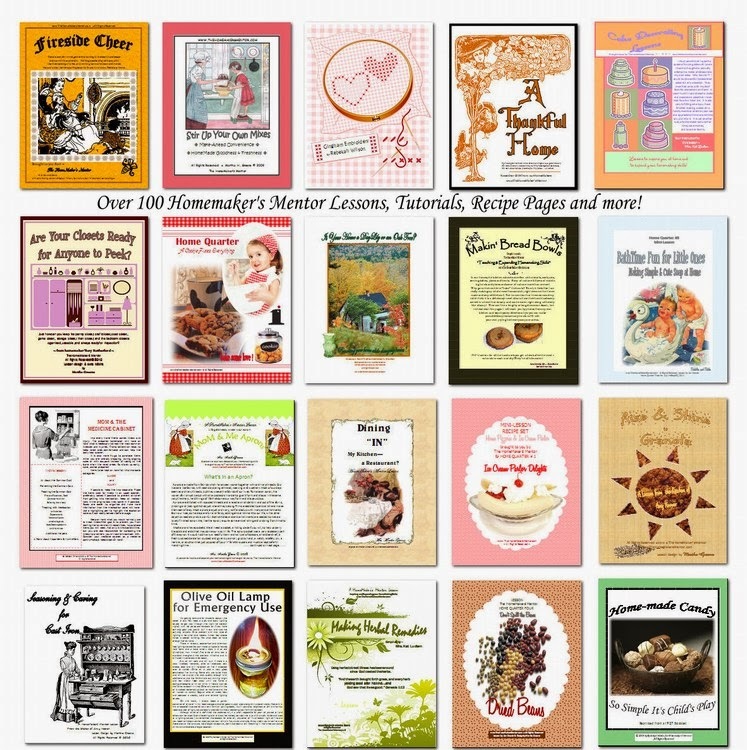 I'm fortunate enough to be a homemaker and I feel that there is always something new to learn. I am still learning and would love to raise my daughter with all of the skills she will need for her own home. This set would be an amazing help! I have always wanted to learn how to can so the Canning Lesson is one I'm very interested in.